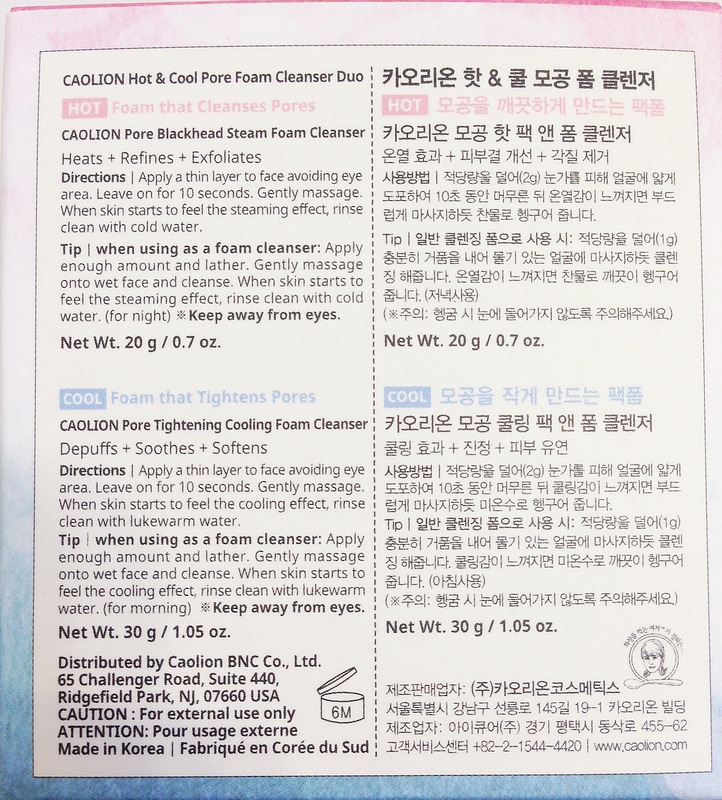 I was chosen to post a review on this CAOLION Hot and Cool Foam Cleanser Duo on my Instagram, but since this was such an interesting product, I decided to make a more detailed blog post about it! 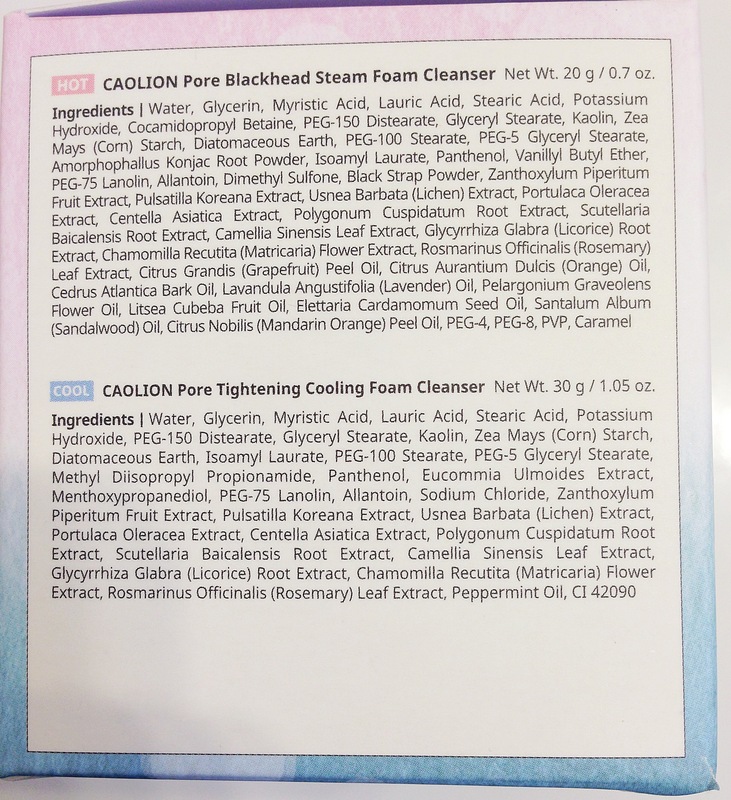 CAOLION is a Korean skincare brand, but currently this product is sold on Sephora’s website as an online exclusive for $24. It is called a foam cleanser duo, but I think it is more of a mask. It comes with 2 different products: a Pore Blackhead Steam Foam Clenaser and a Pore Tightening Cooling Foam Cleanser. I thought the packaging was pretty cool since the two types were combined into one container but with 2 different levels. It also came with a double sided spatula, so the 2 products don’t get mixed. Here are the ingredients and description pictures. The hot mask should be used first, so let’s start with that one! 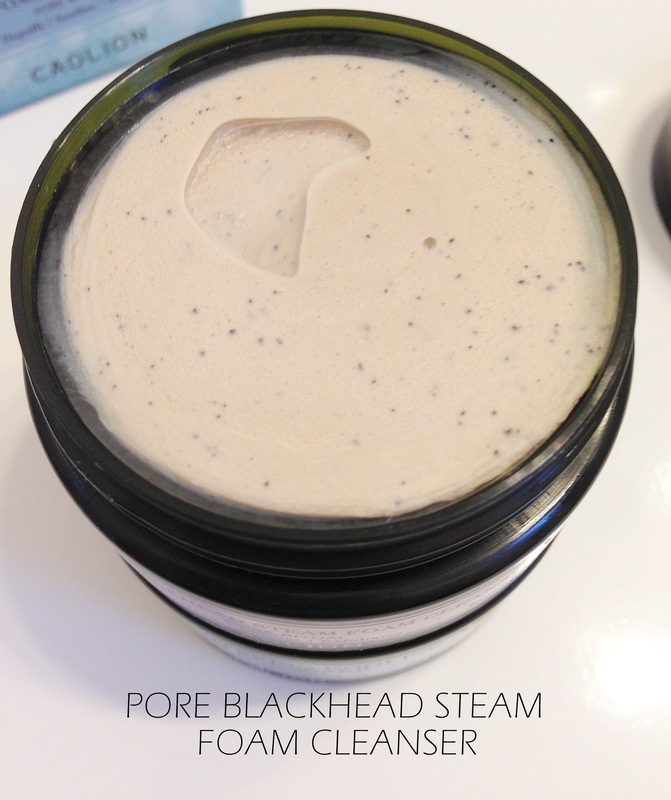 The Pore Blackhead Steam Foam Cleanser deep cleanses by harnessing the power of steam while natural brown sugar gently exfoliates, providing a smoother and more refined texture. As the cleanser heats up on contact, it removes impurities and dissolves dead skin cells softly without irritation—resulting in smoother and firmer-looking skin. It has a light brown color with little black grains. When I first started massaging onto my face, I immediately loved it’s smooth texture which made it very easy to apply. It had a smell similar to oatmeal, which was quite pleasant. After about 30 seconds of rubbing it in, it started heating up like magic! It was pretty amazing and gave off a tingling sensation! My face actually began to really get hot, so I rinsed it off with cool like water as I was told to in the directions. My pores looked about the same, but my skin did feel much smoother and softer. I would say that this is worked more as an exfoliator rather than extracting blackheads and cleaning out pores. The Pore Tightening Cooling Foam Cleanser gently cleanses and refreshes with a cooling sensation to soothe, awaken skin, and tighten pores. 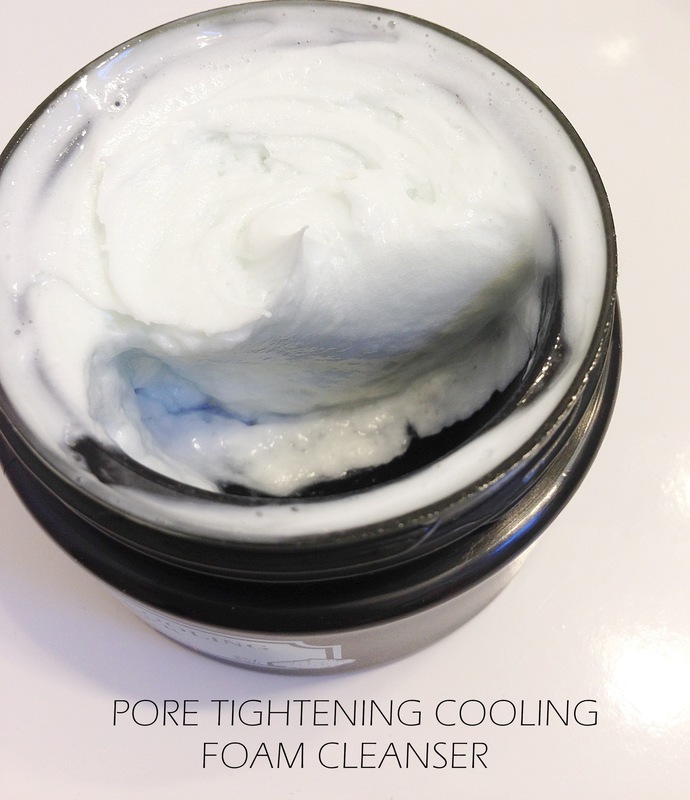 As the skin cools down, the addition of kaolin clay and peppermint oil help calm, depuff skin, and tighten enlarged pores to enhance skin firmness and contouring. This product had a beautiful mint color to it. Just like the hot cleanser, this also had a nice smooth texture as well. It had a minty scent to it that kind of reminded me of mint chocolate or cookies. After about 30 seconds of massaging it onto my face, it started getting cold. This felt so good especially after the hot cleanser. My skin felt very heated, but this definitely helped cool my face off and left me feeling so refreshed. Even after washing it off, the cool sensation still lingered around for about another 10-20 minutes. My skin did feel a little bit tighter and firmer, but my pores didn’t seem noticeably smaller. I think this product definitely was one of the most interesting and fun to use products ever! I definitely recommend you to try it out and experience the hot then cool masks. Although the effects to minimize pores were not that amazing, it still made my skin smoother and tighter. Fun to use! The heating then cooling sensation was so interesting! Disclaimer: This product was sent to me for review purposes, but all of these opinions are my own. « Shopping Day, Skincare Haul & Food With Me in NYC and Flushing! !